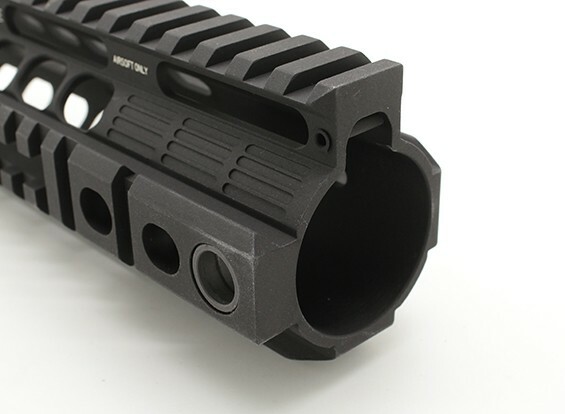 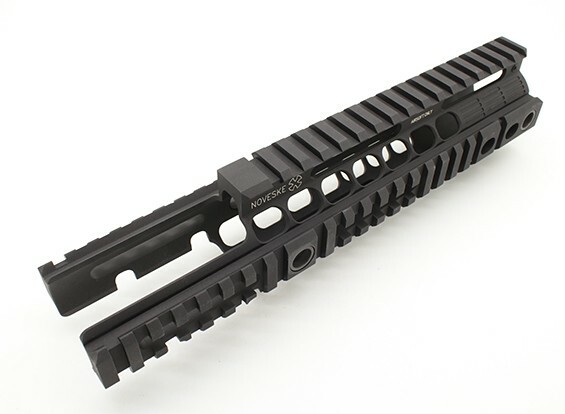 The handguard is made of Aluminum, with 2 built-in QD Sling swivel mount on each side it is a constant rail design on the upper rail that makes the handguard seamlessly match the upper receiver. 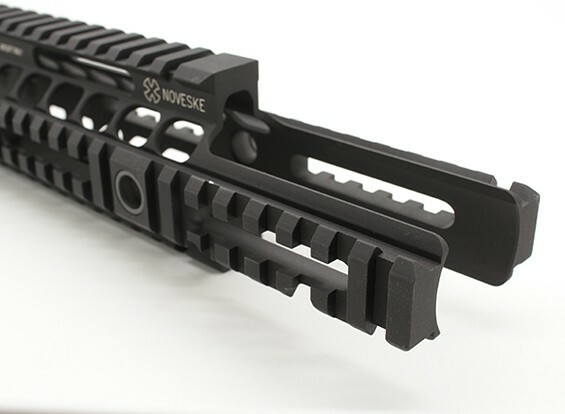 With Noveske rifleworks unique pattern, the rail features lightweight quad rail sections for all tactical accessories. 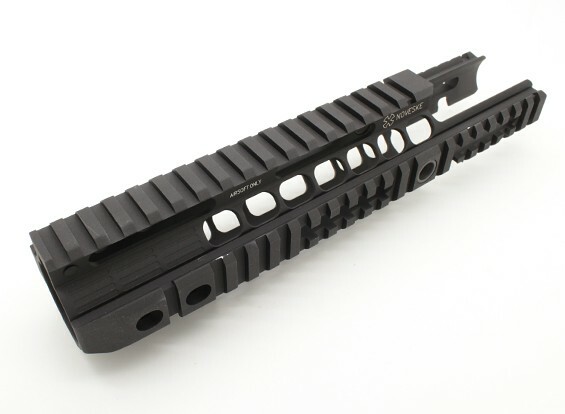 This is an easy installation rail the barrel nut installs with a standard M4 barrel nut wrench This is actually a 7 inch handguard with 3inch extended rail Cut-out for the front sight.